Adler, P and Adler, P (1994) Observational techniques, in Denzin, N K and Lincoln, Y S, Handbook of Qualitative Research, Thousand Oaks, CA: Sage. Cuba, F (1985) Fourteen things that make or break tracking studies, Journal of Advertising Research, 25(1), 21-23. 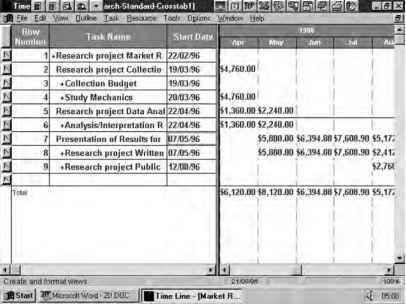 Eskin, G (1988) Setting a Forward Agenda for Test Market Modeling, New York: Advertising Research Foundation, 14-15. Gibson, R (1992) The fine art of stocking a supermarket's shelves, Wall Street Journal, 15 October. Gibson, R (1993) Broad grocery price cuts may not pay, Wall Street Journal, 7 May. Grove, S J and Fisk, R P (1992) Observational data collection methods for service marketing: an overview, Journal of the Academy of Marketing Science, 20(3), 217-24. Kandathil, J (1985) The advantages of electronic test markets: an advertiser view based on experience, Journal of Advertising Research, 25(6), 11-12. Langbourne, R (1993) How to reach children in stores: marketing tactics grounded in observational research, Journal of Advertising Research, 33, November/December, 67-72. Malhotra, R (1988) Some Issues and Perspectives on Use of Simulated Test Markets, New York: Advertising Research Foundation, 57. Moult, W M (1988) The Role of Simulated Test Markets and Test Markets, New York: Advertising Research Foundation, 140. Robson, C (1993) Real World Research, Oxford: Blackwell. Rosenfeld, J (1985) Speeding up test marketing, Marketing Communications, June. Russo, J (1988) Simulated test markets in the real world, Pre-Test Market Research, New York: Advertising Research Foundation, 118-19. Rydholm, J (1997) Right on cue: mystery shopping makes sure salespeople sing praises of Yamaha digital pianos, Quirk's Marketing Review, Article 234, January. Seaton, A V (1997) Unobtrusive observational measures as a qualitative extension of visitor surveys at festivals and events: mass observation revisited, Journal of Travel Research, 35(4), Spring, 25-30. Test markets: winners and losers (1983) Advertising Week, 3 October.